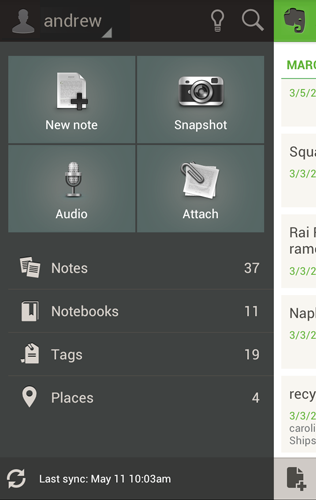 There is a new home screen with big, friendly buttons to make a new text note, audio note, photo, or upload a file of any sort. 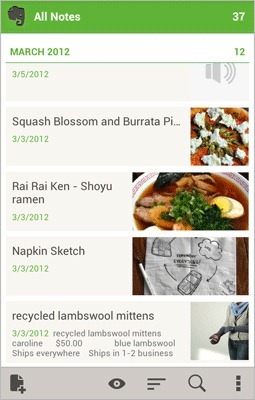 These functions were there before, but now the home screen is accessed by swiping to the left on any screen. This is also where you can filter by tags or notebooks, which are handled much more elegantly. Evernote 4.0 also has a correctly-implemented Action Bar which will conveniently hide itself when you're reading a long note. There's still a lot of green around, and the developers chose to stick with some of their own icons rather than use the stock Android ones. 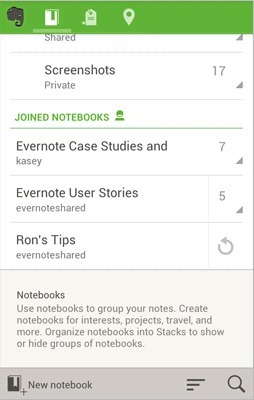 Evernote is free for up to 60MB of monthly bandwidth, which is plenty for most users.